Former EUROPE guitar player Kee Marcello has released his latest album “Scaling Up”, featuring a variety of tunes from melodic and catchy to hard edged. 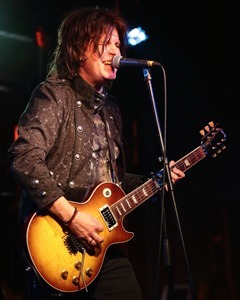 Kee Marcello recorded “Out Of This World” and “Prisoners In Paradise” with EUROPE, and fascinated his fans with his clever licks and great sense of technique on the guitar. His latest album still displays such trademarks and style, and the album also showcases Kee’s talents not only as a guitar player, but as a singer and composer as well. Supported by bass player Ken Sandin and drummer Darby Todd, the Kee Marcello Band proves themselves as an energetic live band too. 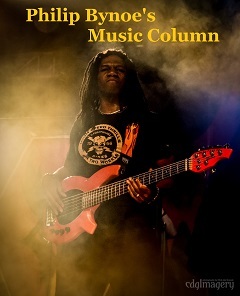 Kee Marcello took time to talk to MUSE ON MUSE about his latest studio effort. Philip Sayce has just released his new live album titled “Scorched Earth Volume 1”. 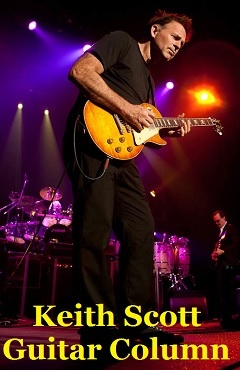 The album showcases Philip’s powerful and emotional singing, along with a dynamic performance and sound on the Stratocaster guitar, all captured into the album without any overdubs nor fixes. 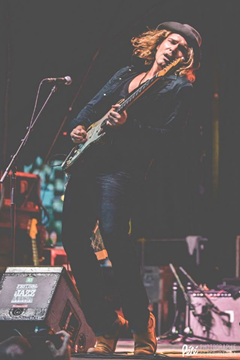 The album definitely displays the real musicianship that Philip Sayce is all about. The album title also gives the fans some expectation for a 2nd and maybe even a 3rd live album coming up after this. Check out Philip talking to MUSE ON MUSE about “Scorched Earth Volume 1”. 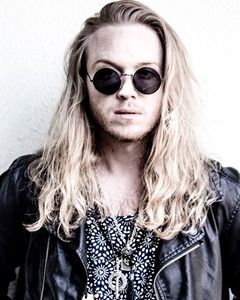 Trev Lukather has just released his latest single “Only Girl” via digital download. Trev is the son of world renowned musician and guitarist Steve Lukather, and is also a talented singer, songwriter, and guitar player. His multiple talents definitely prove himself to be a high quality rock musician. Trev Lukather’s EP “Trev” released in 2008 showcases some very impressive tunes with great hooks and melodies. The musical arrangements, including Trev’s guitar riffs and simple but “to the point” licks, as well as guitar solos that stick to your ears, enhance the tunes creating an incredible rock album. Trev has also been working with various artists as he makes his name in the music industry step by step. 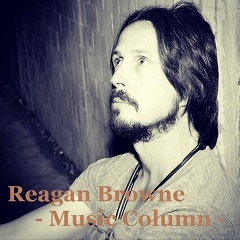 He writes for artists such as American rock act HALESTORM, in which he received his first gold disc, and also is the musical director for Lindsay Loha, Paul Rey (Epic), Ryan Cabrera (Atlantic/Universal), etc. Trev Lukather took time to talk with MUSE ON MUSE, with some deep insights into his music. 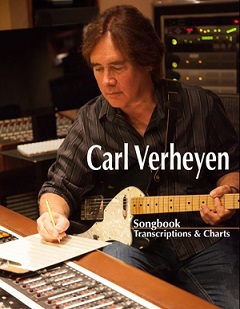 Carl Verheyen, known for his work with British rock group SUPERTRAMP, is one of the busiest musicians in the LA studio scene. Carl has worked and collaborated with numerous famed artists, as well as on film and television soundtracks. He has recently released his latest solo album “The Grand Design”, which appeals to a wide range of music fans with a high quality collection of vocal songs featuring Carl’s soft and clear vocal performances. No worries for the guitar freaks that look forward to listening to Carl’s extraordinary guitar techniques! 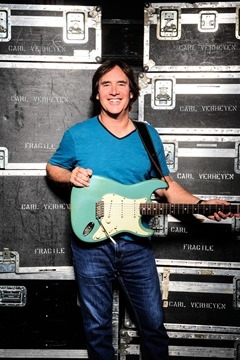 The album definitely displays all of Carl Verheyen’s musicianship including great guitar tones with dynamics, phrases and licks with style, and numerous musical arrangements that are nothing but fascinating. Hear what Carl has to say about “The Grand Design”. 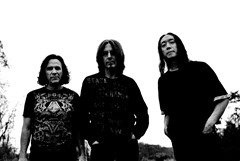 Trio rock project THE JELLY JAM consisting of Ty Tabor from KING’S X, Rod Morgenstein of WINGER and THE DIXIE DREGGS, and John Myung of DREAM THEATER has just released their fourth album “Profit”. The concept album features a fictional storyline dealing with real issues such as environmental issues. The stunning musical talent and techniques of the 3 musicians successfully enhance the atmosphere of the beautifully constructed album “Profit” which will definitely display to the listeners a sonic world of fantasy. Ty Tabor and John Myung from THE JELLY JAM took time to answer a few quick questions for MUSE ON MUSE. Oz Noy has just released “Who Gives A Funk”, which his latest studio album following “Twisted Blues Vol.1” and “Twisted Blues Vol.2”. The “Twisted Blues” albums displayed Oz Noy’s unique and original music style, also featuring guest musicians such as Eric Johnson, Warren Haynes, Chick Corea, just to name a few. 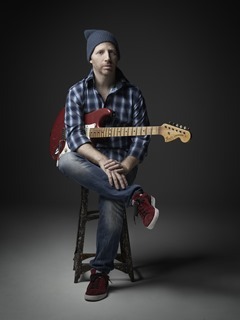 Oz’s latest studio effort also showcases his originality, this time with guests such as Randy Brecker, Robben Ford, Joe Bonamassa and Dweezil Zappa. Also including a horn section to the ensemble, the album’s highlights include a high level of musical performance and chemical reaction between Oz Noy and the many guest musicians participating. Oz took time to talk to MUSE ON MUSE about his new “Who Gives A Funk” album. Francis Dunnery has just released his new album “Vampires” featuring re-recorded IT BITES material, following his previous album “Frankenstein Monster” which stunned many fans, showcasing a collection of re-recorded NECROMANDUS songs. NECROMANDUS was the legendary band in which his brother Barry Dunnery was part of. Francis’ latest studio effort “Vampires” should definitely gather attention among the fans, as IT BITES tunes still remain to have an enduring popularity. The re-recorded IT BITES material has a more mature feel to it, along with a very beautiful sound production. Francis Dunnery took time to talk to MUSE ON MUSE about the reasons behind recording “Vampires”, as well as about some of his upcoming plans. Featuring heavy blues rock with great hooks that fascinate the listeners, Supersonic Blues Machine has now released their first studio effort “West Of Flushing South Of Frisco”. 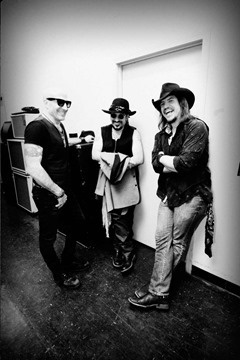 Supersonic Blues Machine was formed by Fabrizio Grossi, Kenny Aronoff and Lance Lopez, who are all experienced and well known names in the industry. Not only does Fabrizio Grossi play bass on the album, but also takes on the duty as producer, songwriter and mixing engineer for Supersonic Blues Machine. Fabrizio Grossi has worked as a bass player, producer/mixer and music consultant for countless names in the business such as Steve Vai, Nina Hagen, Leslie West, Dave Navarro, and many others. 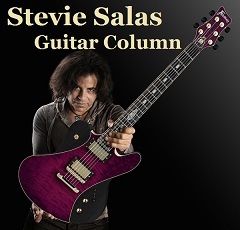 Guest players on this album such as Billy Gibbons, Warren Haynes, Robben Ford, Walter Trout and Chris Duarte definitely prove Fabrizio’s experience and network in the industry. Drummer Kenny Aronoff has also played for numerous artists such as John Mellencamp, John Fogerty, Jon Bon Jovi and Celine Dion, just to name a few. Kenny Aronoff has an endless list of artists that he has worked with, and there are definitely many songs and albums that people know and have heard without knowing that Kenny Aronoff was sitting behind the drums. Lance Lopez, blues rock guitarist extraordinaire and singer songwriter, showcases his raw and emotional guitar performances, along with a voice that truly fascinates the listeners. MUSE ON MUSE asks the 3 members of Supersonic Blues Machine about their new band and album. CWF featuring Bill Champlin, Joseph Williams and Peter Friestedt has released their self-titled studio album, which has definitely lived up to the expectations of the AOR fans. The album showcases a collection of melodic gems with beautiful vocal lines by Bill Champlin and Joseph Williams, accompanied by Peter Friestedt’s great guitar performances that finely enhance each tune on the album. 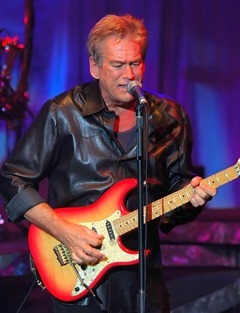 Bill Champlin, known for his work with Chicago, as well as winning a Grammy Award with his songwriting contributions to Earth Wind and Fire’s “After The Love Has Gone” and George Benson’s “Turn Your Love Around”, still has a worldwide following to this day. MUSE ON MUSE asked Bill Champlin about the new CWF project and album. Billy Gibbons has led a successful career in the blues and hard rock industry as the guitarist and vocalist of ZZ TOP, gaining respect from fans and musicians worldwide. 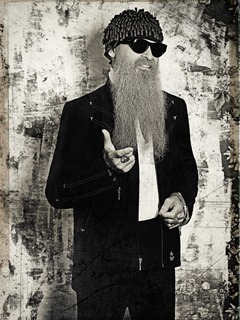 Billy Gibbons just released his long awaited solo debut album titled “Perfectamundo”. Definitely a pleasant surprise for the ZZ TOP fans, the album displays a great blend of Afro-Cuban sound mixed with his trademark blues and hard rock guitar riffs along with great guitar solos filled with originality. This studio effort not only proves Billy Gibbons’ versatility as a musician, but also showcases his consistency as a top-notch musician. Check out Billy Gibbons talking to MUSE ON MUSE about “Perfectamundo”.